I use either silk or cotton muslin to make my scarves. Each piece of fabric is hand dyed and then embellished with various yarns, merino wool tops, beads and buttons. 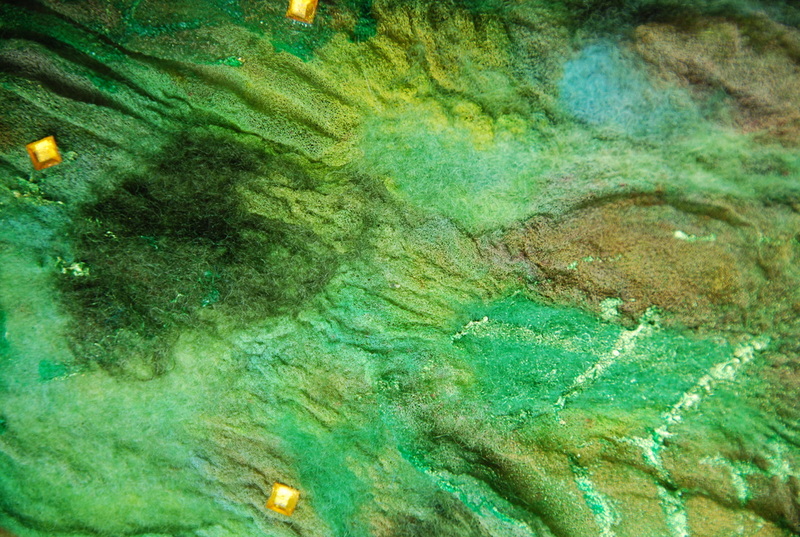 This image is a close up of a silk chiffon scarf which had wool tops, beads and paint added to create detail. The inspiration for this scarf came from photographs taken whilst walking my dog.